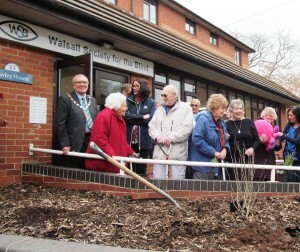 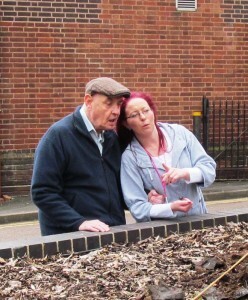 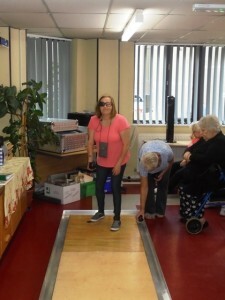 Places can be provided free to anyone with a visual impairment living in the Walsall Borough, subject to assessment and availability and you can also attend on more than one day if you choose. 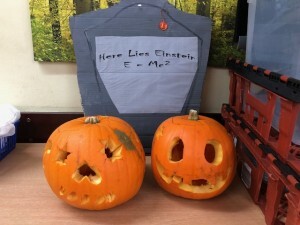 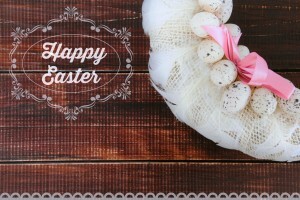 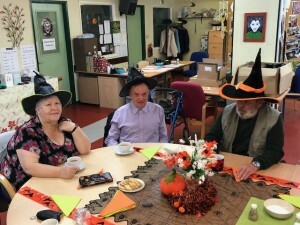 Refreshments and snacks are available during the day and a two course meal is available on Tuesday, Wednesday and Friday’s (all of which are chargeable). 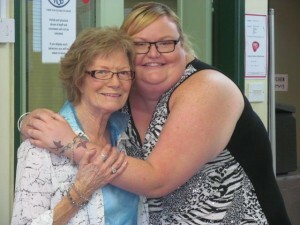 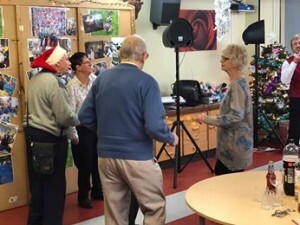 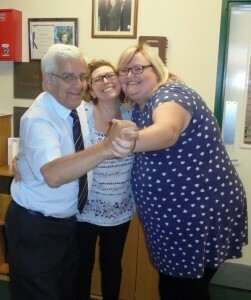 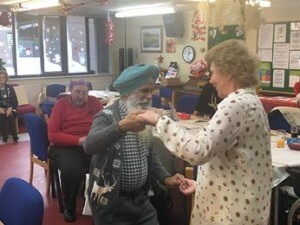 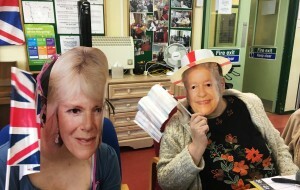 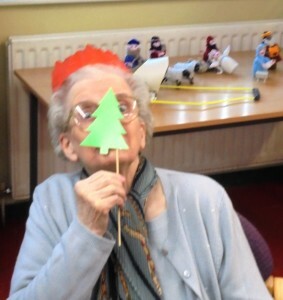 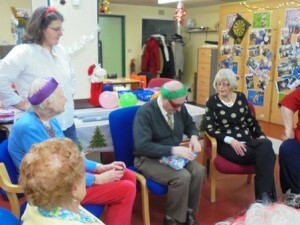 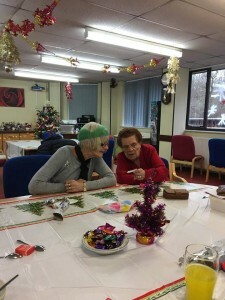 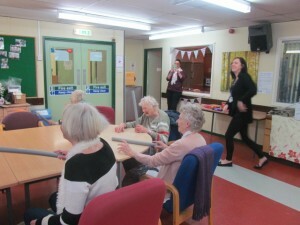 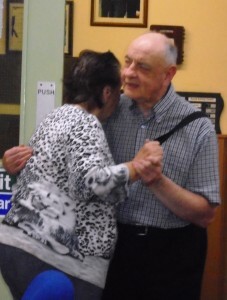 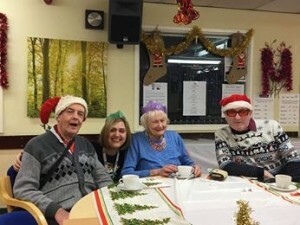 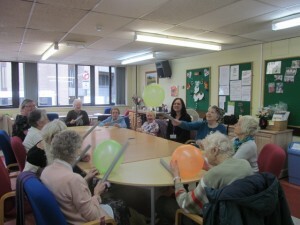 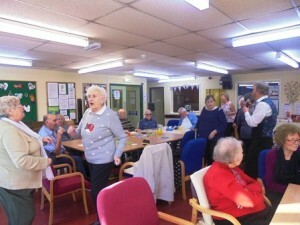 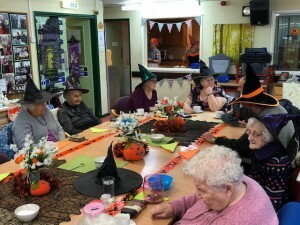 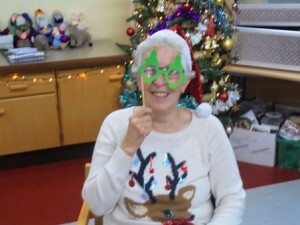 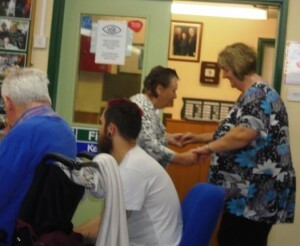 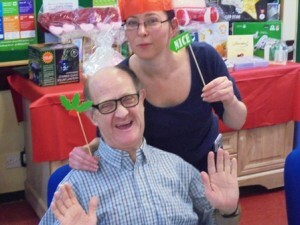 Another fabulous week at the Social Activities Centre. 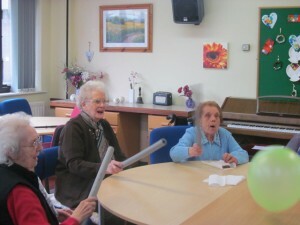 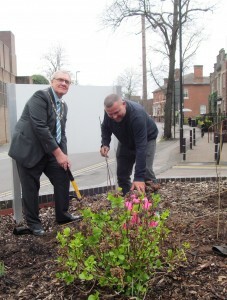 2,220 Social Activity Centre Placements in 12 months!!!! 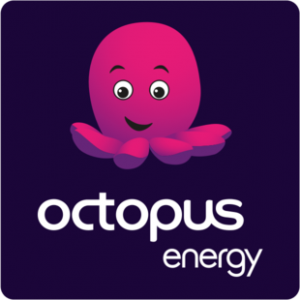 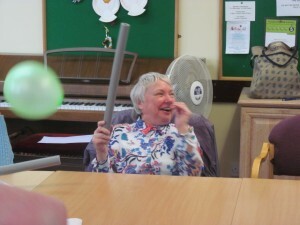 are happy, interactive and enjoyable. 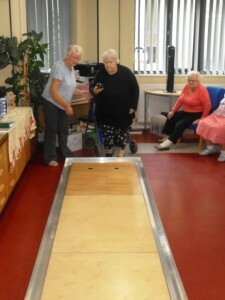 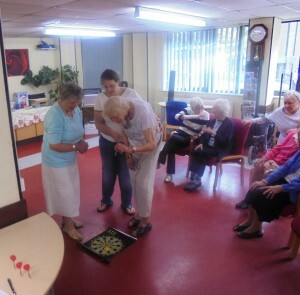 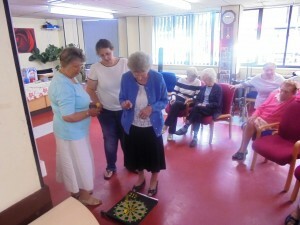 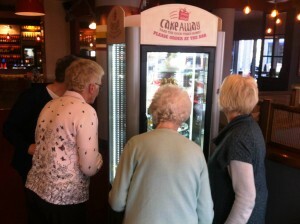 We have a dedicated snooker/pool room, games, quizzes, crafts, bingo and even a bowling alley. 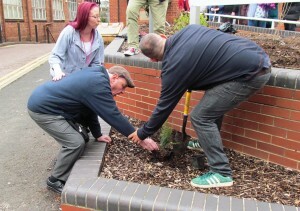 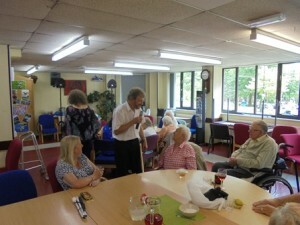 We have visiting entertainers, speakers, disco’s and enjoy trips to local pubs, theatres, garden centres and shows. 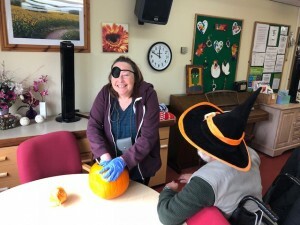 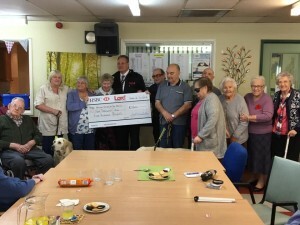 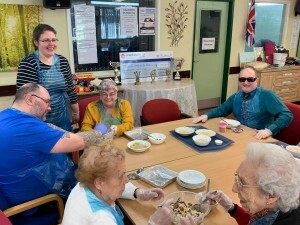 The Social Activity Centre remains free of charge to attend, for those with sight loss or visual impairment, other charges will apply, dependant on the activity/outing etc participated. 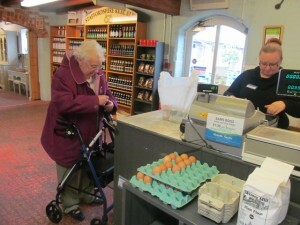 A 2 course hot meal can be purchased and Ring and Ride transport can be arranged at £1.30 – £2.40 per journey. 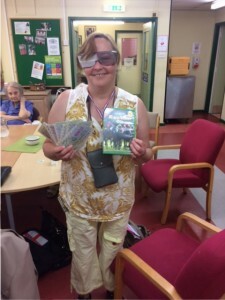 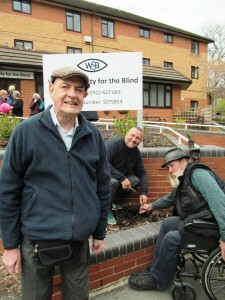 If you or someone you know has sight loss or visual impairment, and would like to be part of our groups, please do get in touch, where we will be more than happy to go through the process with you. 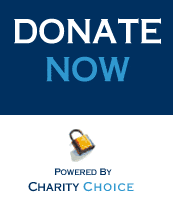 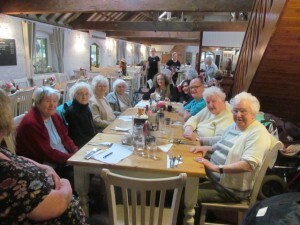 You can contact us on 01922 627683 or send us an email at hawleyhouse@wsftb.co.uk or message us through facebook or twitter. 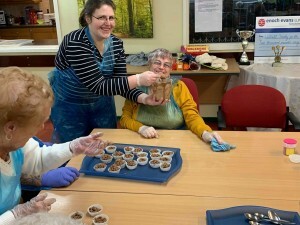 We have our own Masterchefs at WSB as we had loads of fun baking cakes, cookies, muffins and everything yummy.. also everyone has enjoyed a competitive week as the skittles tournament came to a close today. 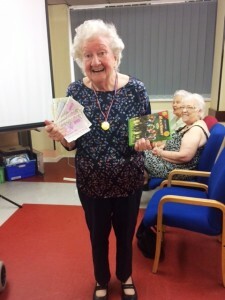 Pictures attached show happy faces, chocolate cornflake cakes and 2 cheeky chappies who took part in the skittles competition, one of them a winner and is holding a skittles trophy. 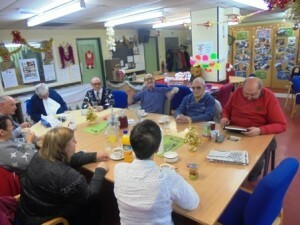 Another fabulous week in the Social Activities Centre. 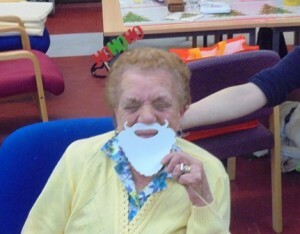 Let the Christmas Festivities begin!! 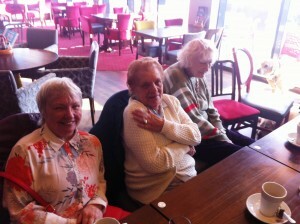 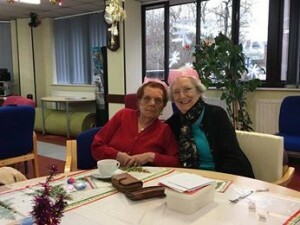 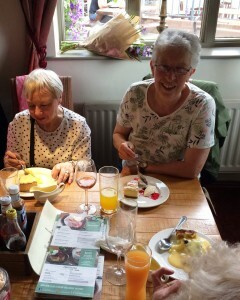 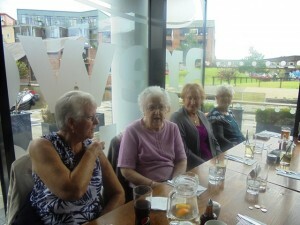 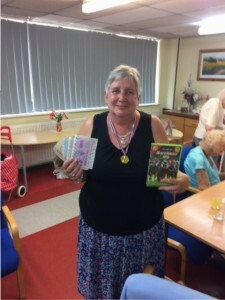 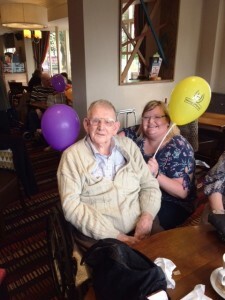 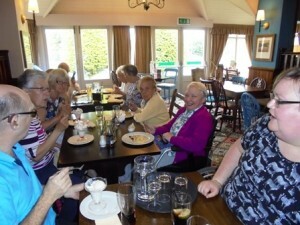 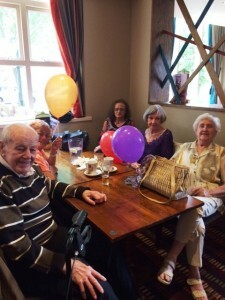 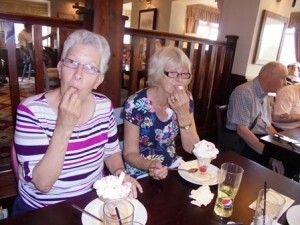 Congratulations to a wonderful lady, who celebrated her birthday in style at the Fairlawns Restaurant in Aldridge, with some of her friends from the Society. 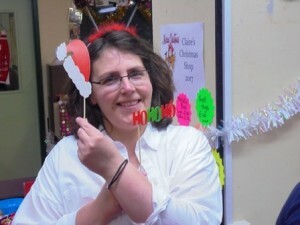 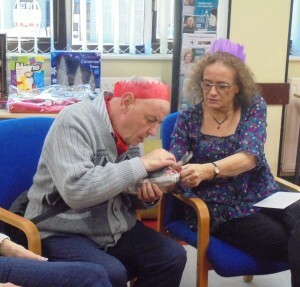 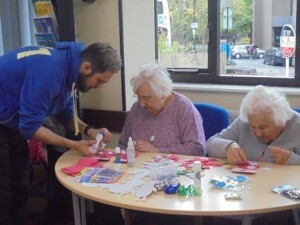 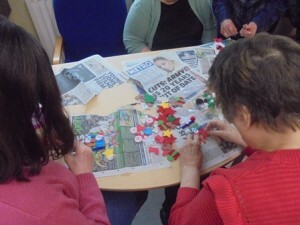 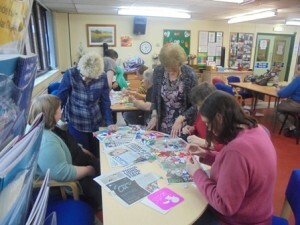 One of the many activities that take place in the Social Activities Centre, is that of arts and crafts. 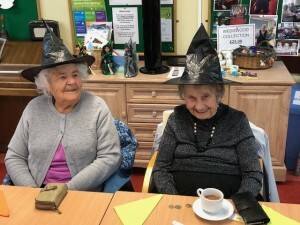 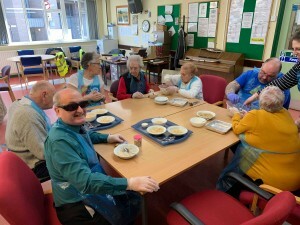 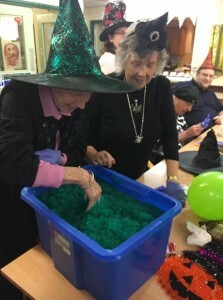 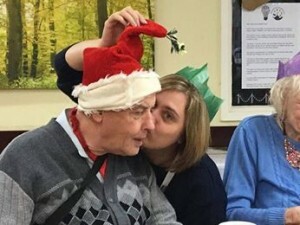 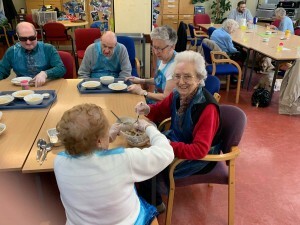 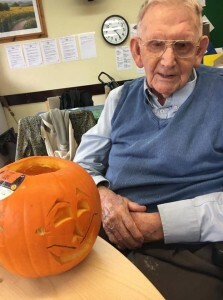 Participation in craft activities provides both mental and physical stimulation and dexterity, as well as being fun and enjoyable to take part in. 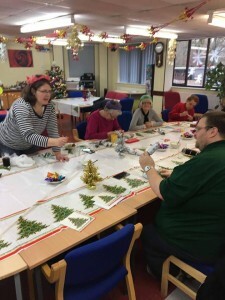 Decorations are made, pictures are painted and pom pom mats and blankets are knitted. 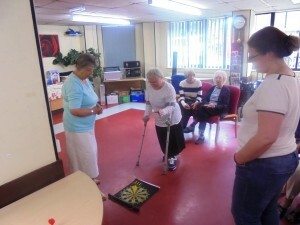 Lots of fun with the Tuesday group and Thursday Circle of Friends as everyone enjoyed a spot of bowling and a game of darts. 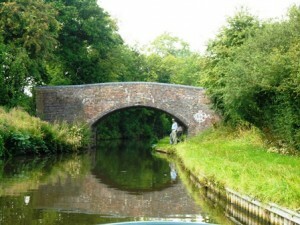 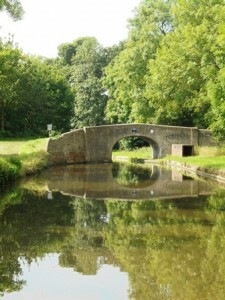 We left the hustle and bustle of city life, as we gently cruised the Hatherton Branch of the Staffs and Worcester Canal. 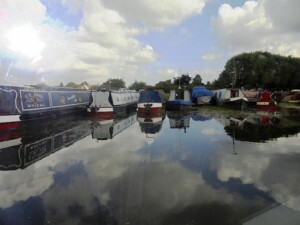 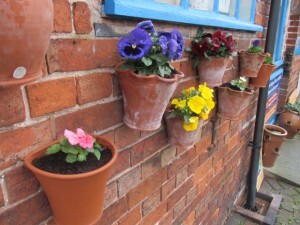 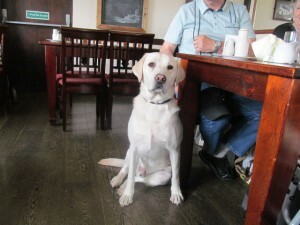 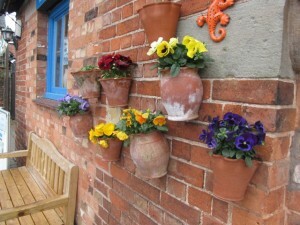 Our journey began as we embarked at the Hatherton Marina, Calf Heath nr. 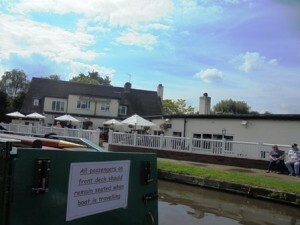 Cannock for a 5 hour cruise excursion on the Truman Enterprise barge. 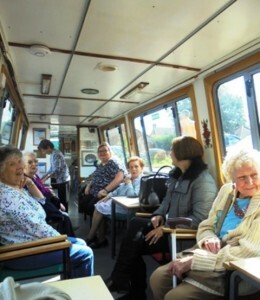 Travelling through Coven, we moored to enjoy a fish and chip lunch, which was brought to us on the barge, we also popped in to say hello to the lovely folk at the Fox and Anchor pub. 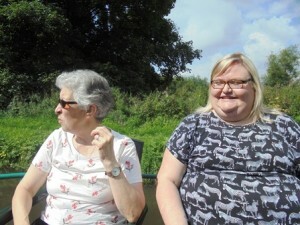 We explored the wonderful vibrant countryside, taking in nature and watching the herons and met so many friendly people. 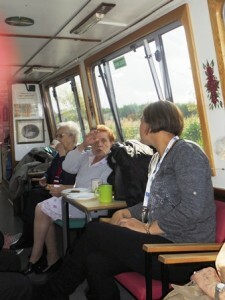 We would like to thank our Skipper Jerry and crew mate Jean, volunteers on the barge, for looking after us on our excursion. 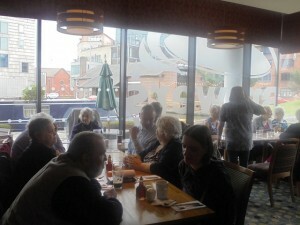 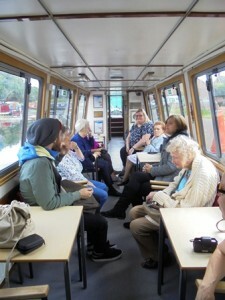 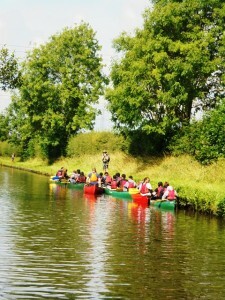 We all enjoyed our fabulous relaxing afternoon on the waterways and even caught the sunshine. 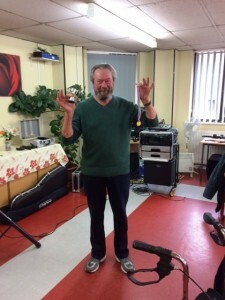 We welcomed another talented performer, Tony Wall to the Centre this afternoon, with an extensive and varied repertoire, and an avid supporter of open-mics around the area, Tony performed an amazing set for us, which we all very much enjoyed. 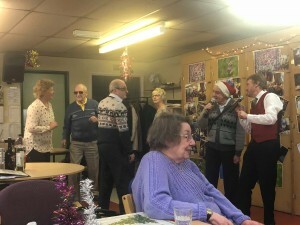 Another cracking afternoon at the Centre, with a fish and chip lunch and entertainment provided by vocalist and guitarist David Graham, a great time was had by all. 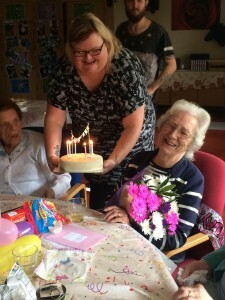 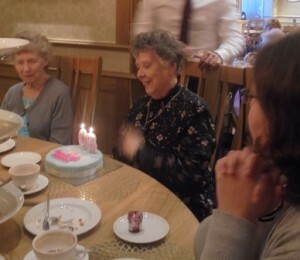 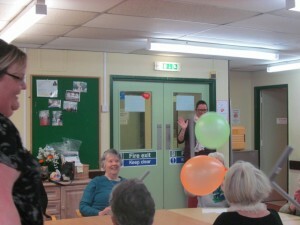 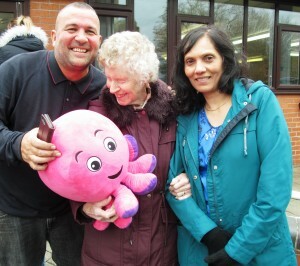 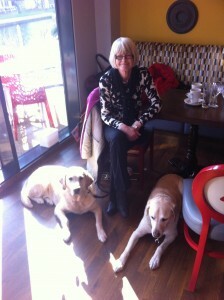 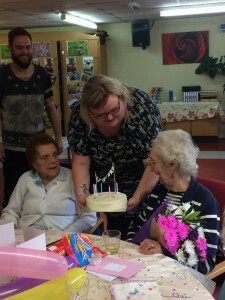 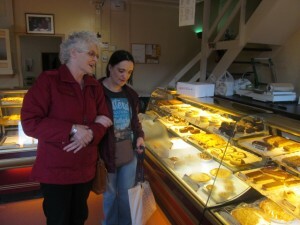 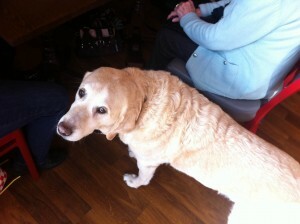 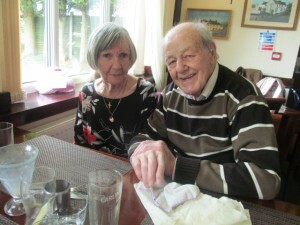 The Birthday celebrations continue for one very special lady, with a surprise birthday party. 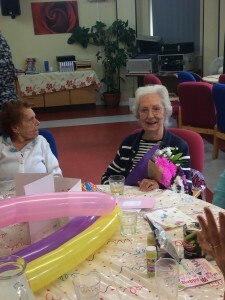 With gifts of a beautiful bouquet of flowers and birthday cake, the party was in full swing with music, plenty of party food and drinks and what party would be complete without a magnificent pass the parcel. 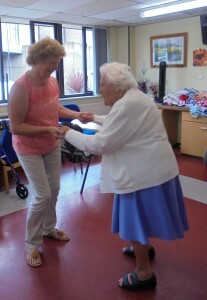 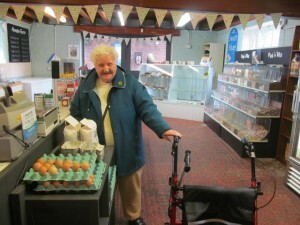 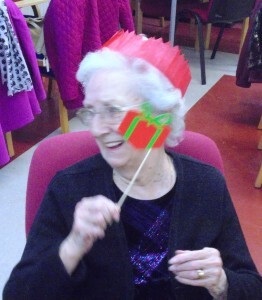 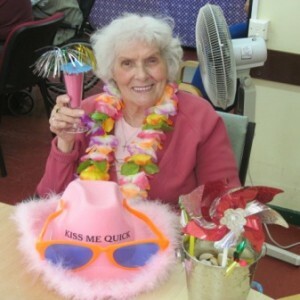 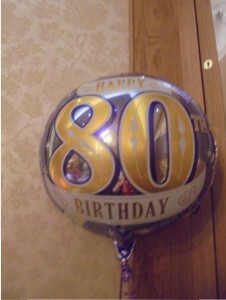 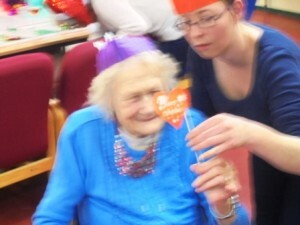 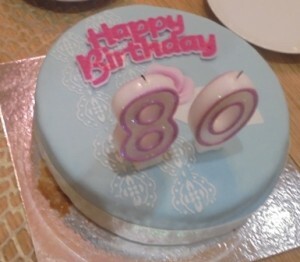 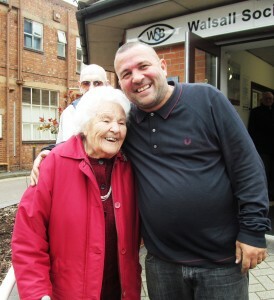 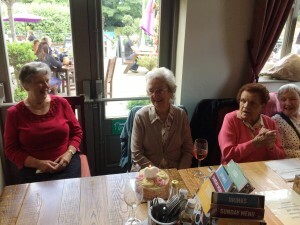 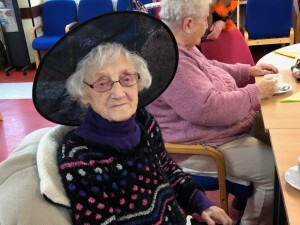 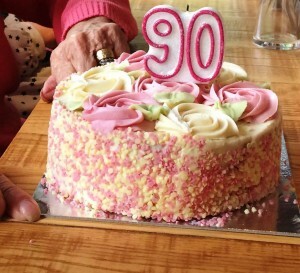 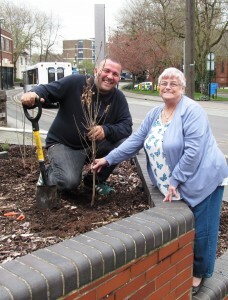 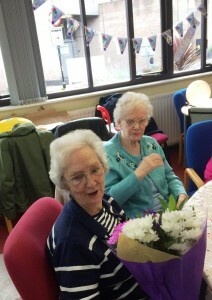 Congratulations to one of our lovely ladies, as she celebrates her 90th Birthday. 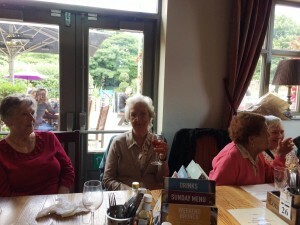 Amongst friends old and new the Birthday girl relaxed with laughs, food and a few drinks at the Longhorn pub in Walsall. 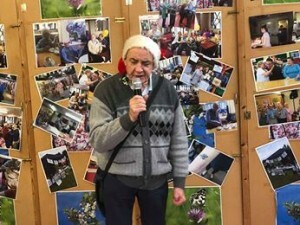 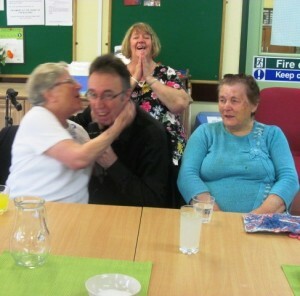 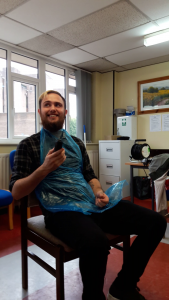 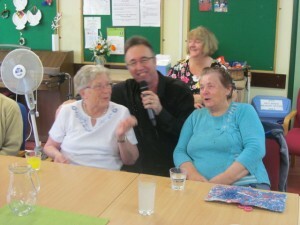 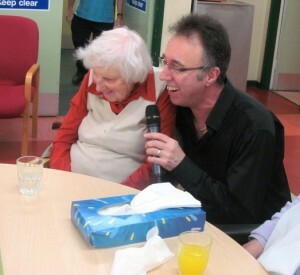 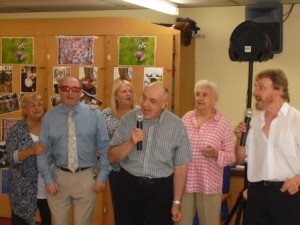 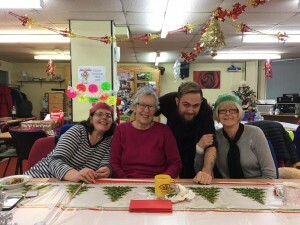 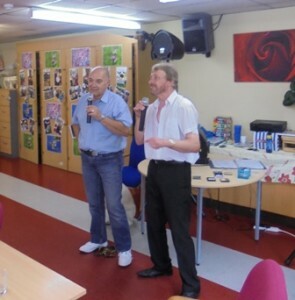 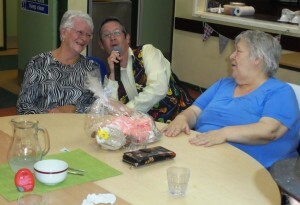 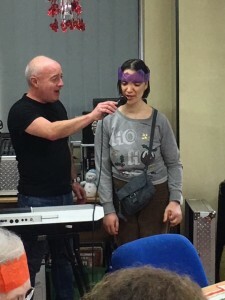 A day in our Social Activities Centre is a fun place to be and we were thrilled to welcome vocalist Chris, back to entertain our groups. 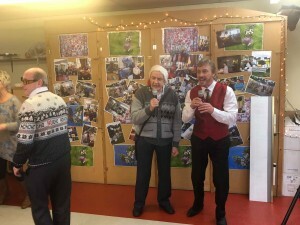 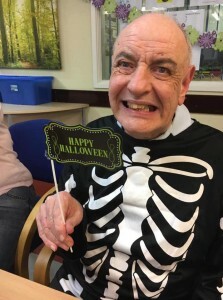 Chris has a wonderful voice and his rendition of nessun dorma is a real treat, today was even more special as Brian one of our group members sang with Chris and Brian you sang beautifully. 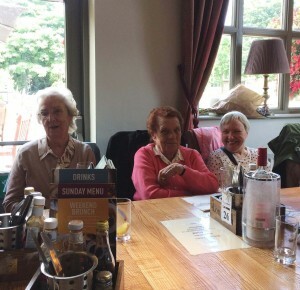 An afternoon of relaxed fun and laughter with friends. 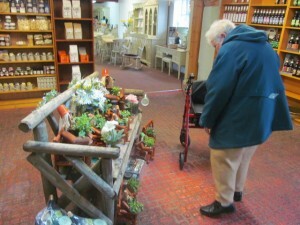 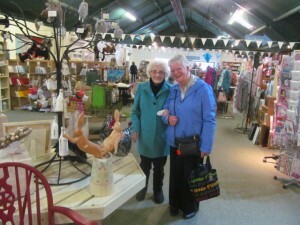 We spent a lovely day in the sunshine at Dobbies garden centre, a wonderful sensory experience, taking a stroll through the different variety of plants and flowers with their different scents, a bit of shopping later it was time for a spot of lunch at the Spread Eagle, a perfect day amongst friends. 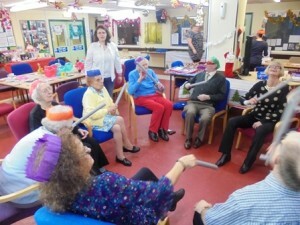 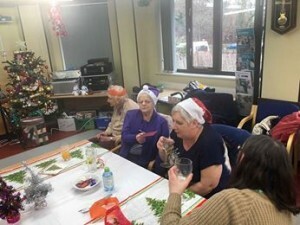 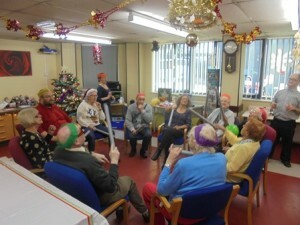 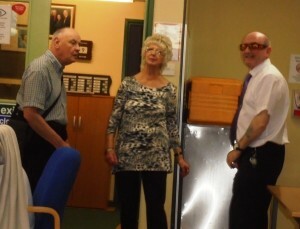 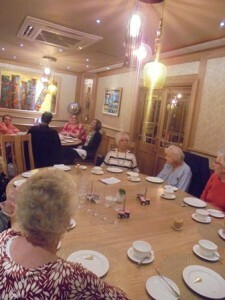 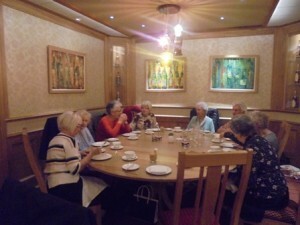 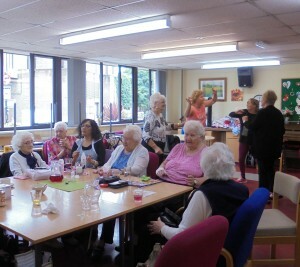 What a fabulous week we have enjoyed here, in our own social activities centre. 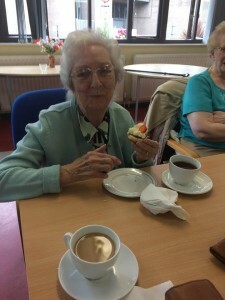 Chip shop lunches, fresh cream scones, a glass of fizz with strawberries and lots of audience participation, as we played along with horse racing games on the big screen. 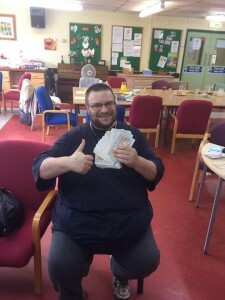 We have had many winners throughout the week, as we played with Monopoly/silly/pretend money. 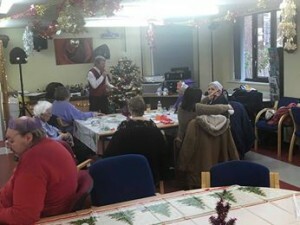 Thank you to everyone for taking part and well done to all of the winners. 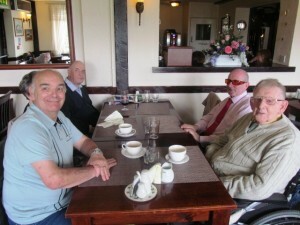 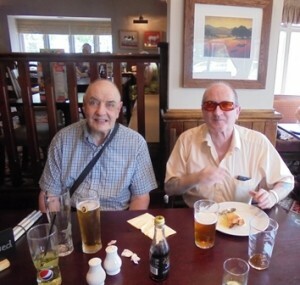 We spent an enjoyable, relaxed afternoon with great company and food at the Keymasters in Willenhall, as one of our groups went on their jollies. 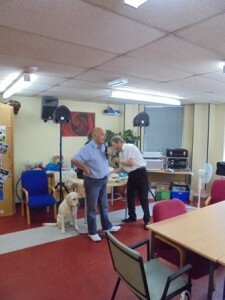 Time for a chat and a catch up with each other. 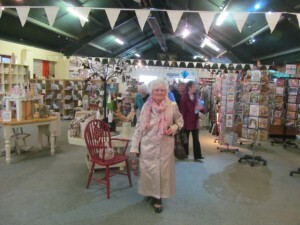 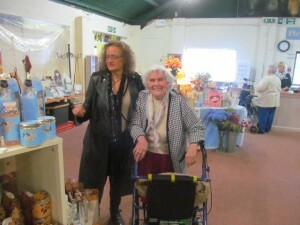 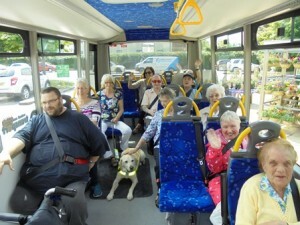 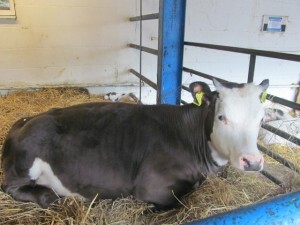 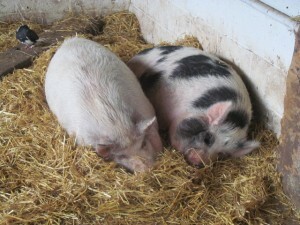 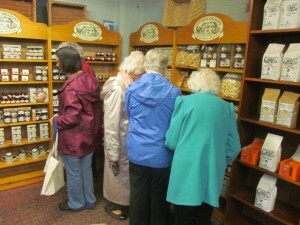 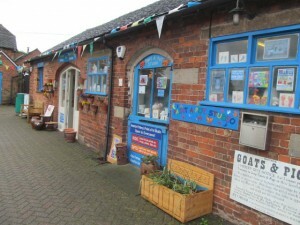 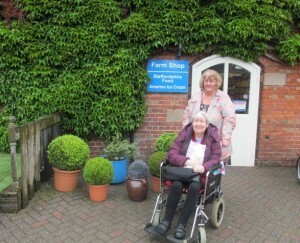 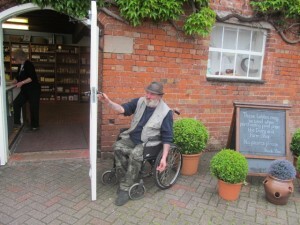 We had a lovely day at Amerton Farm in Staffordshire, there was so much to do, we saw animals on the farm, enjoyed shopping for groceries and goodies and had a wonderful relaxing lunch, everyone came home with plenty of shopping bags after a fabulous day out. 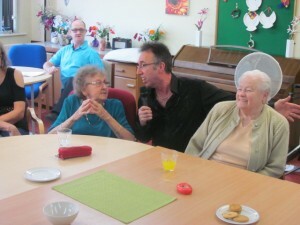 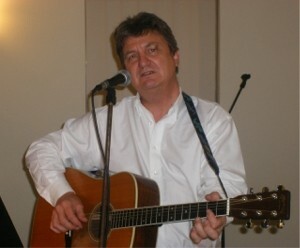 WSB had the pleasure of the one and only fabulous, Paul Birch Entertainer. 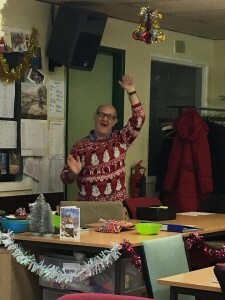 Paul got everyone singing and joining in, arms waving in the air, Paul was a joy as always, we especially loved Rhinestone Cowboy. 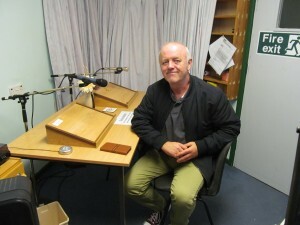 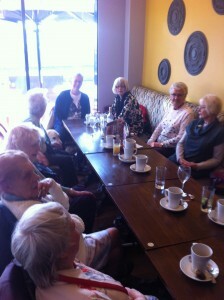 A brilliant afternoon, heres to the next time. 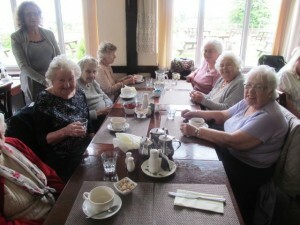 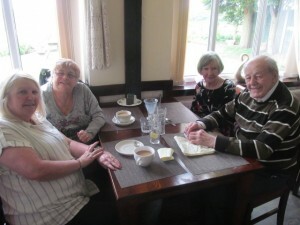 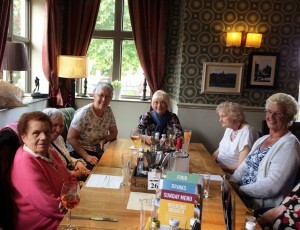 A lovely afternoon at the Ivy House in Great Wyrley, where we enjoyed a fabulous lunch, drinks and a catch up with each other. 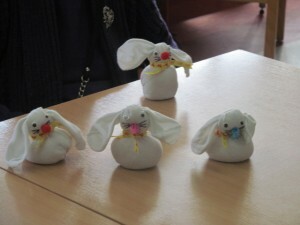 One of our fabulous Volunteers’ Judith, got creative with our Social Activity Centre clients this afternooon, as everyone enjoyed making Easter bunnies. 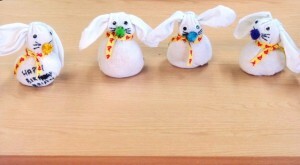 Using a white sock, rice, a furry bobble for a tail and some ribbon. 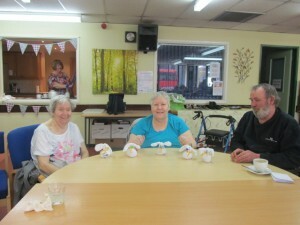 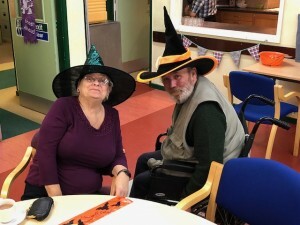 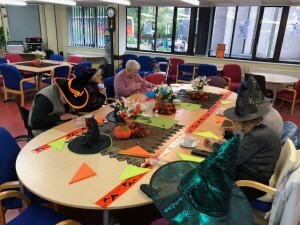 They are all so cute, well done everyone, thank you to our clients for taking part and to Judith for your crafting ideas. 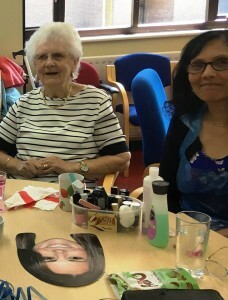 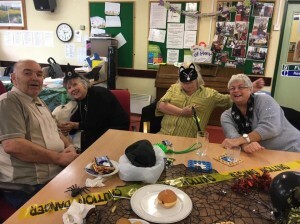 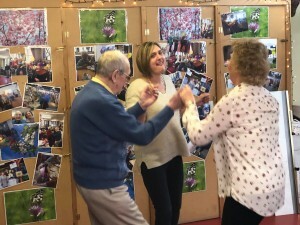 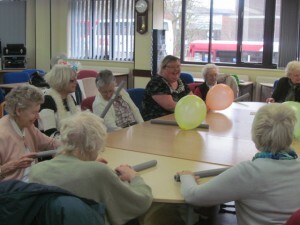 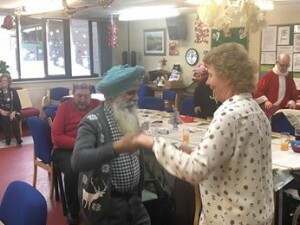 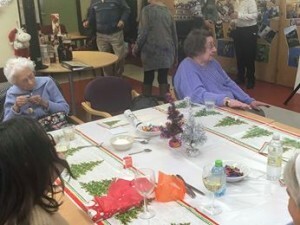 An afternoon at the Society of gentle exercise turned into so much more, when our ladies circle of friends group got together to take part in a bit of fun. 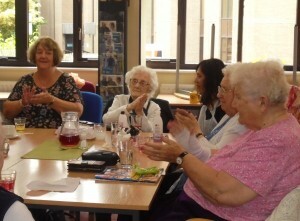 Through tears of laughter, our ladies filled the Society with fun. 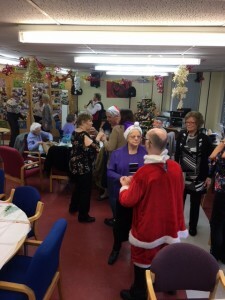 Thank you everyone for a brilliant afternoon and to Claire and Sharon for organising todays activity. 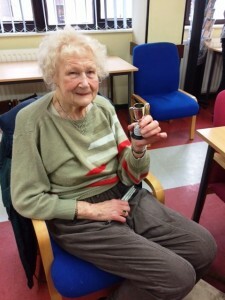 The final of our Pool Tournament took place Wednesday 22nd February at the Society and we have a winner, coming back from 1 match down to win the tournament and the much coveted K.D. 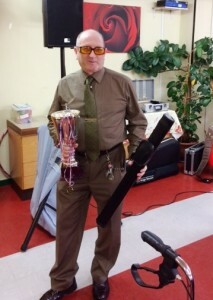 Memorial Trophy. 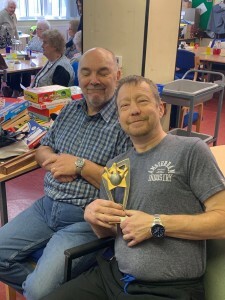 Together with the trophy, which our winner will keep for the year, they also received a very special gift, which was the pool cue that K.D. 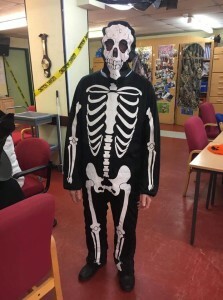 owned and played pool with himself. 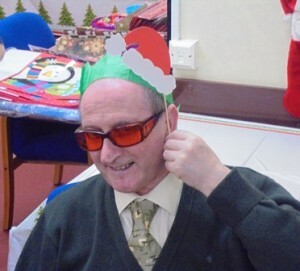 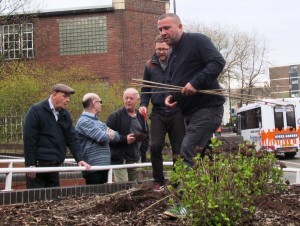 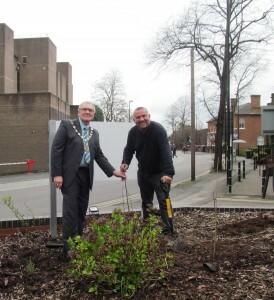 A great man, a great friend, who is sorely missed by us all, especially all of his pool/snooker buddies. 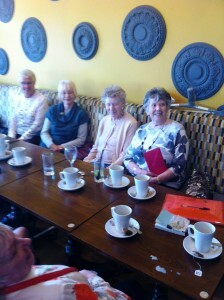 All our runners up received their own K.D. 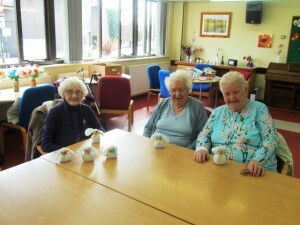 Memorial cup, along with their winners medals.